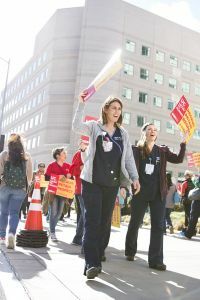 Registered nurses protested Thursday in front of the Ronald Reagan UCLA Medical Center over a contract dispute with the University of California and called for improved working conditions. 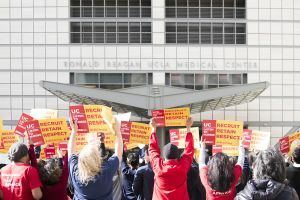 The rally was one of eight protests organized by the California Nurses Association/National Nurses United union at medical centers throughout the UC system. The UC and the CNA, which represents registered nurses at UC medical centers, have been negotiating their contract for the past eight months, and the union has been calling for better working hours, more staff, increased patient protection and retirement security. 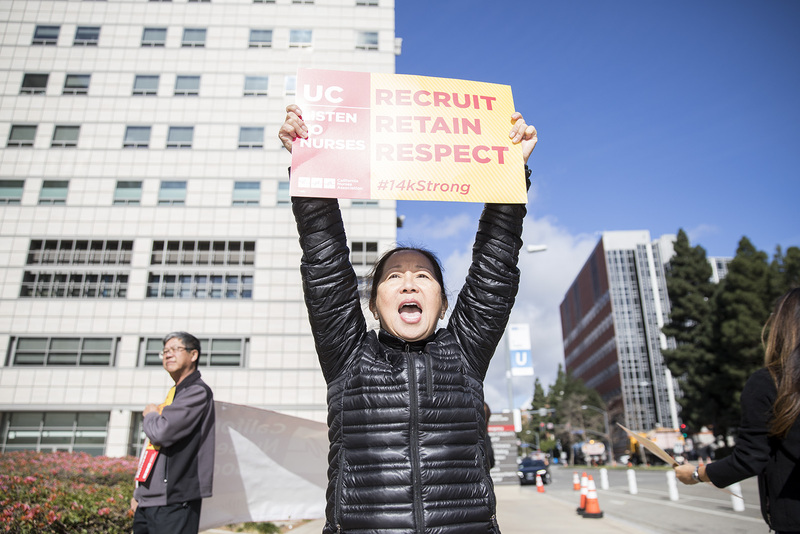 UC spokesperson Claire Doan said the UC medical centers meet and exceed California’s legally mandated nurse-to-patient staffing ratios. 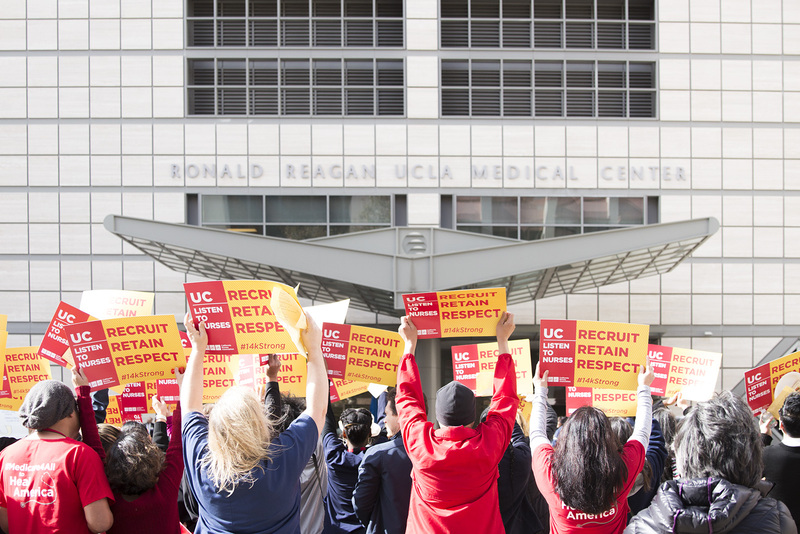 She added the UC has a nurse retention rate of 90 to 95 percent. “We believe the proper venue for the discussion of nuanced, complex issues is at the negotiating table, not through the media,” she said. 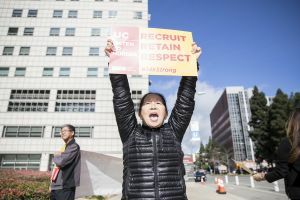 Fong Chuu, a nurse who is part of the contract bargaining team, said she hopes the protests force the UC to agree to improve work conditions, work hours, staffing and retirement plans. 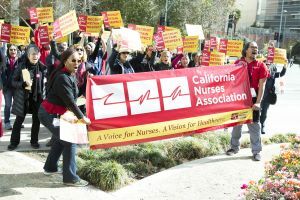 “We want to send a message to UCs that nurses are united, we are staying in solidarity and we are demanding for more,” she said. She added because nurses contribute more than 9 percent of their income to the pension fund, she thinks they should receive increased retirement benefits. UC faculty and staff hired prior to July 1, 2013, currently pay 8 percent of their pay, and those hired after July 1, 2013, pay 7 percent. 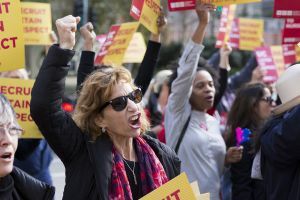 Marcia Santini, who has been a nurse at UCLA for almost 30 years, said that one of the main reasons she participated in the protest was to call on the UC to protect nurses’ pension plans. 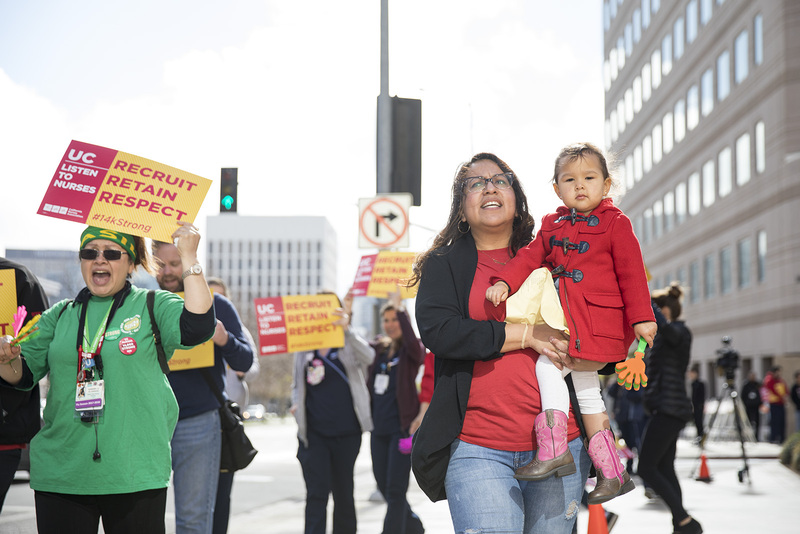 Lucia Brandt, who has been a nurse at UCLA for 16 years, said she thinks contract negotiations between the UC and the union have been prolonged because the university has not been willing to compromise. “We have proposed items for the contract negotiations and every time those contract negotiations commence, they are more takeaways,” she said. Brandt said she thinks the university should increase salaries and benefits for nurses and not outsource their work by replacing per diem nurses, who are hired on a day-to-day basis at different hospitals. Brandt added she thinks the university can fund more resources for nurses because the UCLA Health system raises a large amount of revenue.